Among the hortus sicci (bound collections of pressed plant material) in the Rare Book Room of the RBGE Library is a volume containing samples of 34 species of flowering plant, moss and fern collected on a two day ramble in June 1858. The walkers were John Sadler (1837-1882) and an unnamed companion. 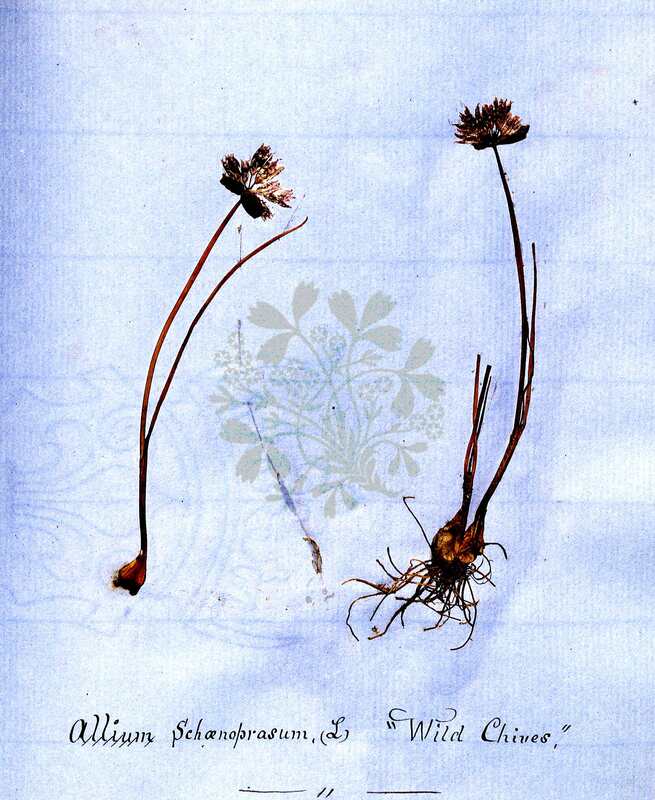 The book was donated to the Edinburgh Botanic Garden Trust in May 1983, and passed by them to the RBGE Library. John began his working life as a gardener at Moncrieffe House, near Perth. In 1854 he started work at the RBGE in the propagating department. 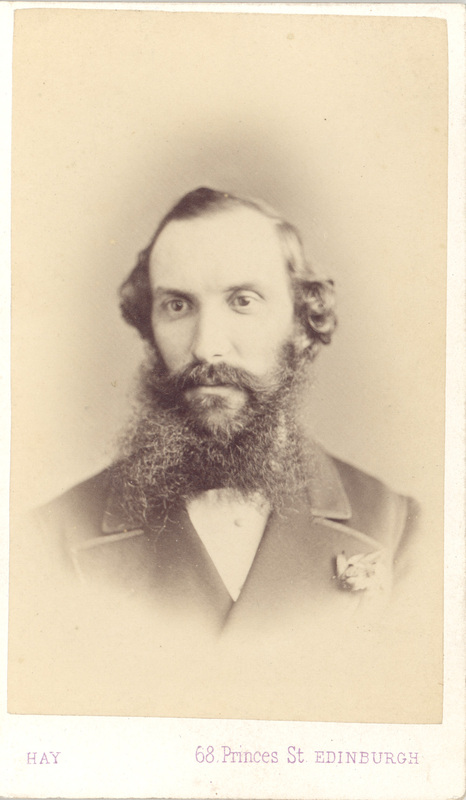 However he was soon transferred to work in the Herbarium, and by the time of his Roman Wall walk he was Assistant to the Professor of Botany and Regius Keeper of the RBGE, John Hutton Balfour (1808-1884). In 1858 he also became Assistant Secretary of the Botanical Society of Edinburgh. 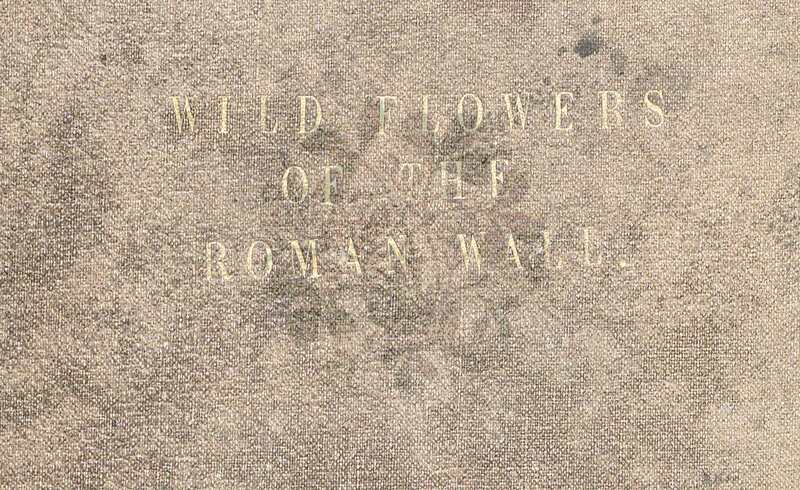 In fact he discussed the plants he collected on his Roman Wall walk as the subject for the first paper he delivered to the Botanical Society. However what makes this small hortus siccus special is the fact that it has a very personal connection to John Sadler emotionally. The book is very simply inscribed: “To Miss Mary Drummond with the author’s love, 7th August 1858”. 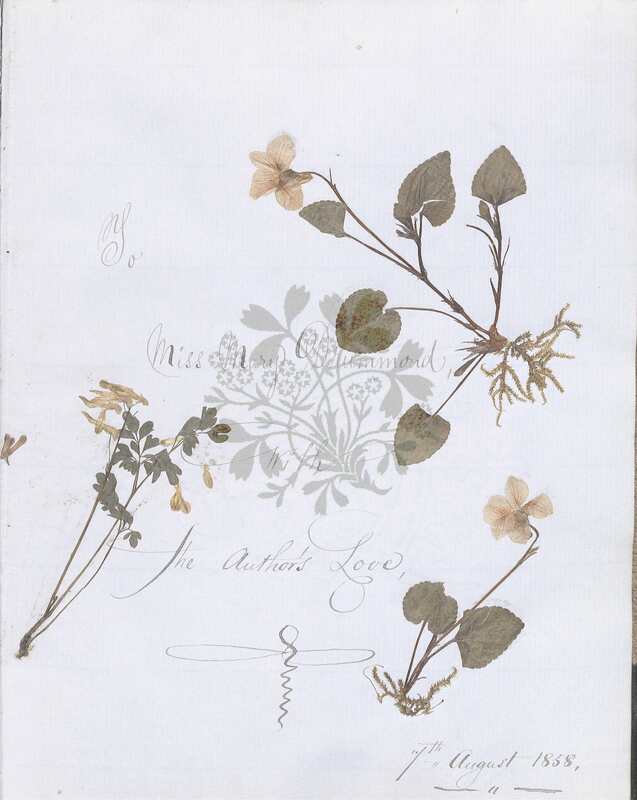 The dedication page in the album, with preserved flowers of species of Fumaria and Viola. The letter that follows points up a number of aspects Sadler’s character that were noticed in the obituary published in the Transactions of the Botanical Society of Edinburgh, 16 (1883-1886). His use of ‘appropriate quotation’ when delivering public lectures can be detected by his reference to lines from Ode on a Distant Prospect of Eton College by Thomas Gray (1716-1771 ) and Time by Henry Kirke White (1785-1806). “Surgeons do yerely repair to the said Roman Hall next to this (Caerburron) to gether sundry herbs for surgery, for that it is thought that the Romaynes there by had planted most nedeful herbes for sundry purposes, but howsoever it was these herbes are found very wholesome”. Sadler’s quest for plant knowledge is seen by the fact that he makes reference to nearly forty species of plant in his letter, not all of which are represented among the preserved plants in the volume. Just over two years after presenting the album as a token of his love John and Mary married at Bridge of Earn on 15th January 1861. Tragically, Mary died 6 years later, in her 35th year, a few weeks after the birth of her fourth child. 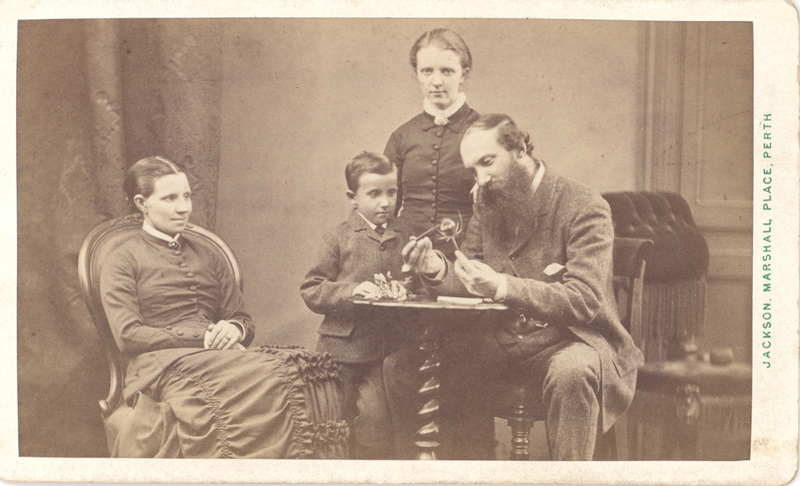 In 1873 John re-married and the RBGE Archive contains a photograph by Perth photographer Magnus Jackson, showing John with his second wife Catherine Duncanson, their son Tom, and one of his and Mary’s daughters. Their story is not without it’s tragedy too. However on this St Valentine’s Day it is best to think on the love John shared with Mary, and tell more of John’s story on another day. Reggie Davidson, RBGE Library volunteer, has created a table of the specimens in the album and also transcribed the letter. All images in this post are taken from originals held in the Library and Archive of the Royal Botanic Garden Edinburgh. Please contact the library@rbge.ac.uk if you wish to re-use them.